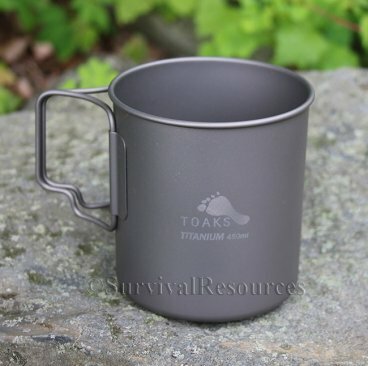 The Toaks Titanium 450 Travel Mug is a great little cup for camping or everyday use. It holds 15.2 oz. (450ml) and measures 3-1/8" in diameter by 3-1/2" high. Weight: 2.5 oz. 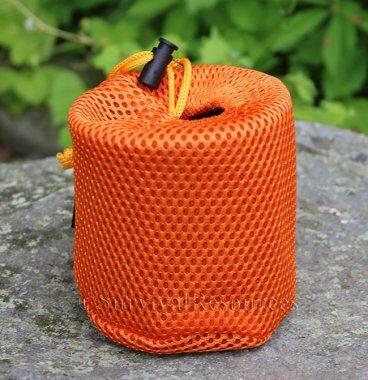 It comes with an orange mesh storage sack.